I love observing the passing of the seasons and I love dressing my home to reflect the changes in nature. I believe every house-proud woman does, wouldn’t you agree? I believe we were created to vibrate in tone with our surroundings and we are influenced by what the eye sees and the heart feels. Our house is always reflecting the outdoors and the season we are in. It is a very tangible way of teaching Emma to respect the nature, to understand the changes and to treasure and learn to recreate in her turn a sense of homeliness and comfort. 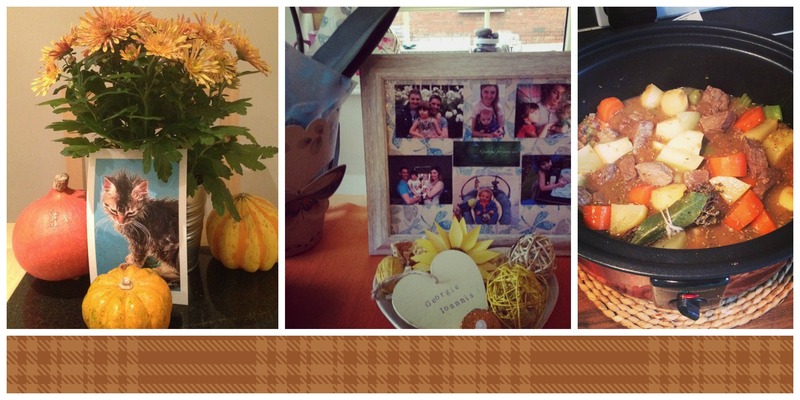 This autumn, even with Georgie missing from our midst and with my heart bleeding continuously and constantly for him, I consciously made the decision to follow through with our traditions and deck the house in autumn décor. For Emma’s sake, for a sense of security that comes from routines and constants in our lives but also from a very deep need within myself to surround myself with living and beautiful things. We also try to celebrate the best the season has to offer, so we would bake and go to shows and stay in touch with what is in season also in a culinary and artistic sense. 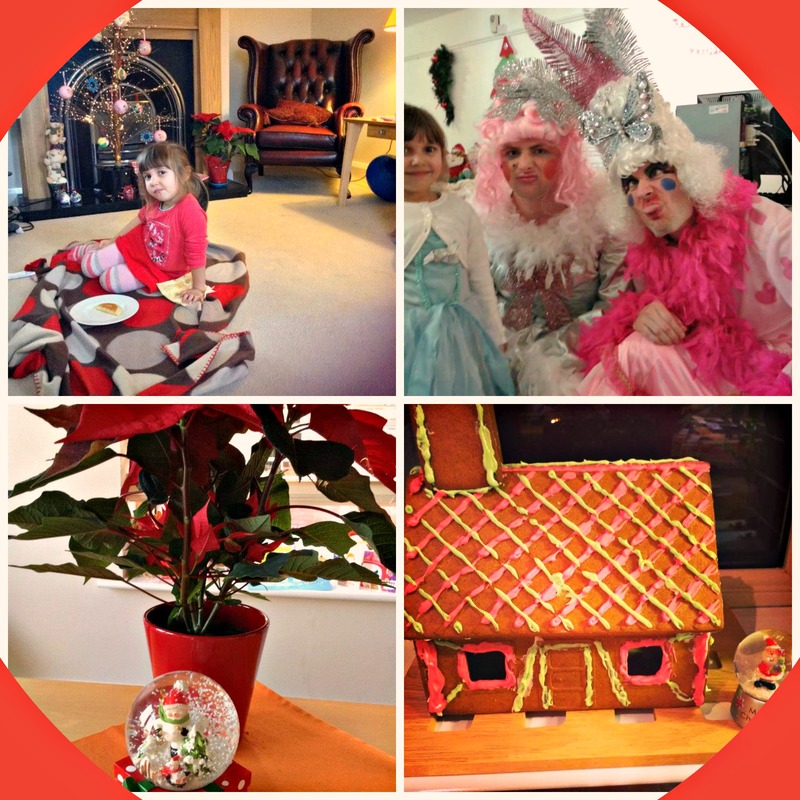 The pictures below were taken last year of our living room, our Christmas plants and decorations, our home-decorated gingerbread house and the Cinderella pantomime we enjoyed close to Christmas. Now that Christmas is fast approaching, I will be looking into decking the house again. If money was no object, I would love to be able to redecorate the whole house in Christmassy, vibrant colours. We also desperately need a new sofa and it has been on my wishing list forever. It became obvious we needed one when the midwife who came to visit us after Georgie was born nearly took off with a portion of it…I have my eyes on a corner one from Harveys, it would be perfect for movie nights and for cuddling up as a family. I truly hope hubby Santa reads this and grants my wish this Christmas! If our kitchen/sitting room was a lot bigger that it actually is now, I would choose one of the gorgeous burgundy (and very much in fashion now) comfy fabric armchairs from Marks and Spencer as well. 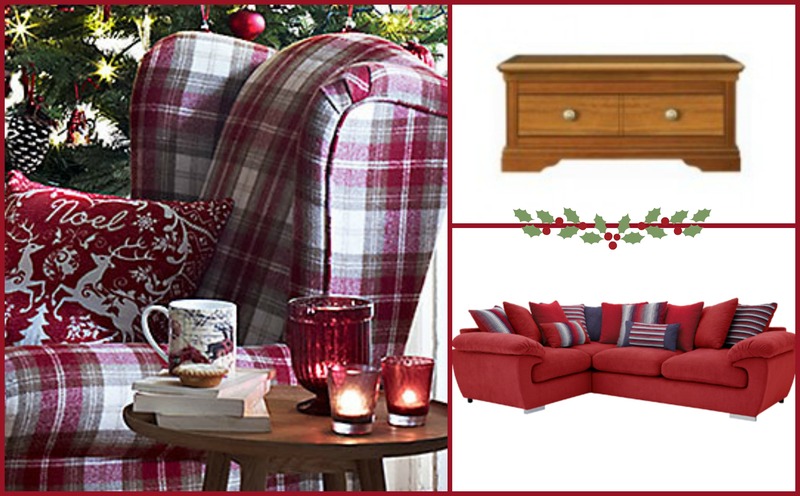 To have somewhere for Santa to sit his weary self and enjoy his mince pies when he visits, of course! Now, what are the things you will be doing yourselves to dress the house for the festive season and if money was no object, what would you change about your furniture?